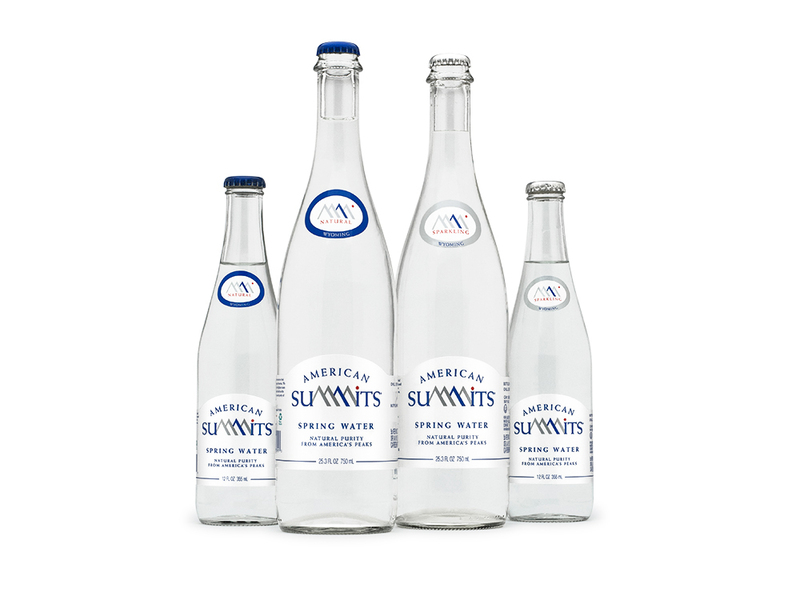 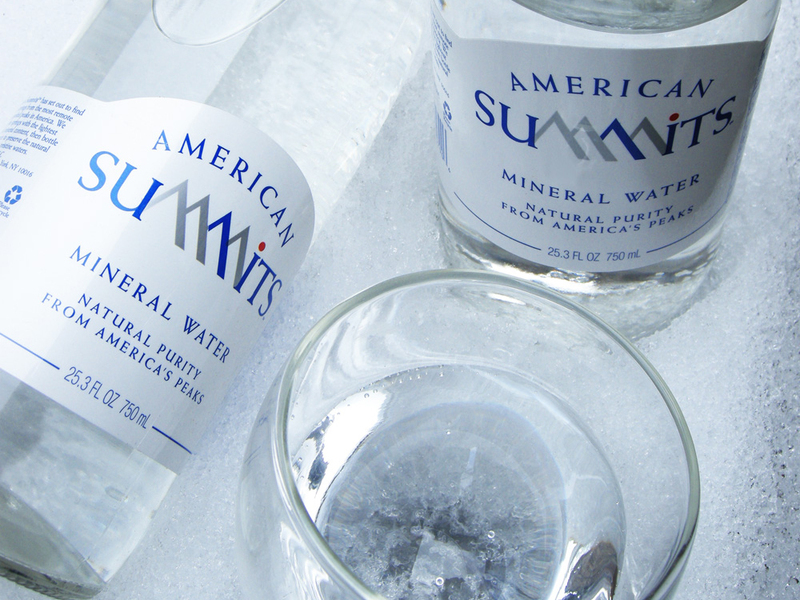 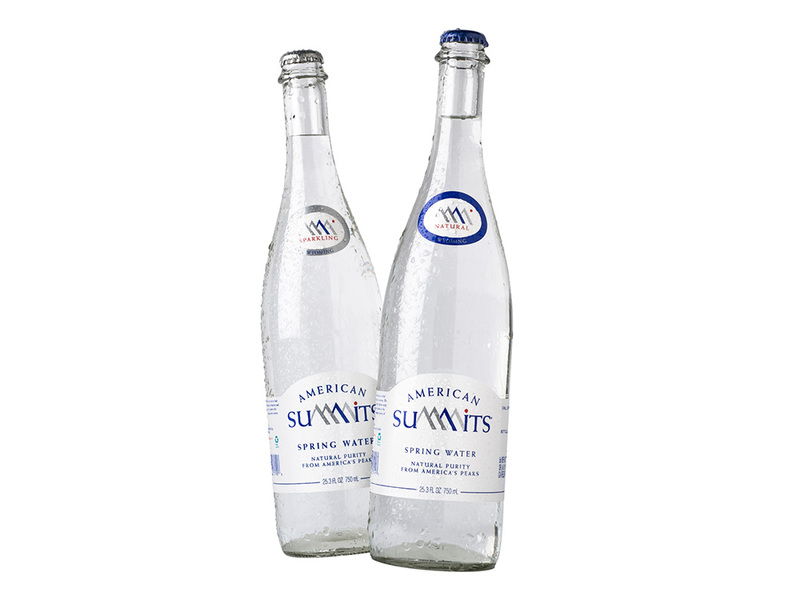 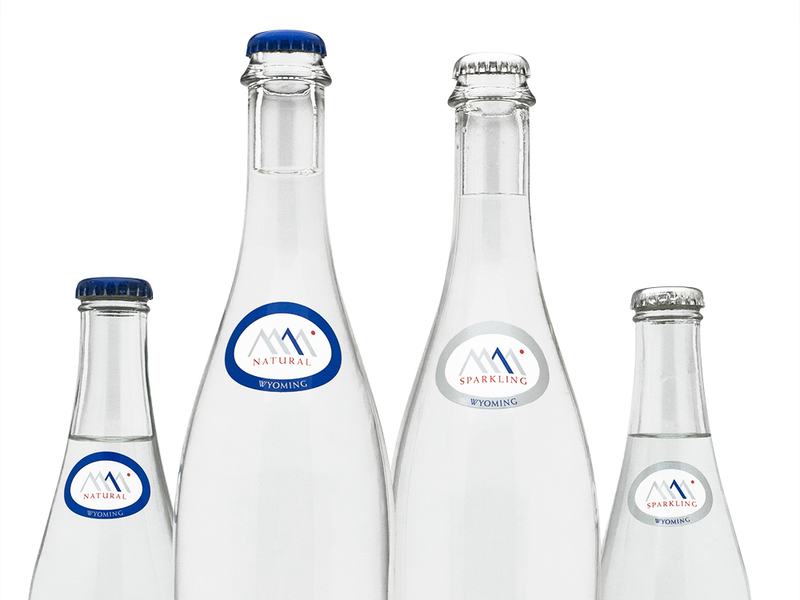 Clear and crisp mineral still and sparkling water packaging for American Summits, water sourced from a pristine mountain range in Wyoming, offering an alternative to imported waters. 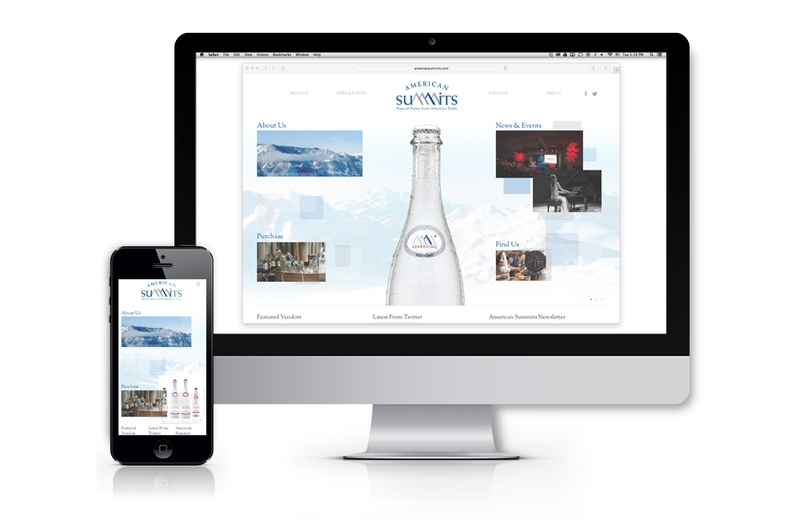 The brand identity is translated to product packaging and the company website where you can learn about the sophisticated crisp taste, the source, and their commitment to sustainability. 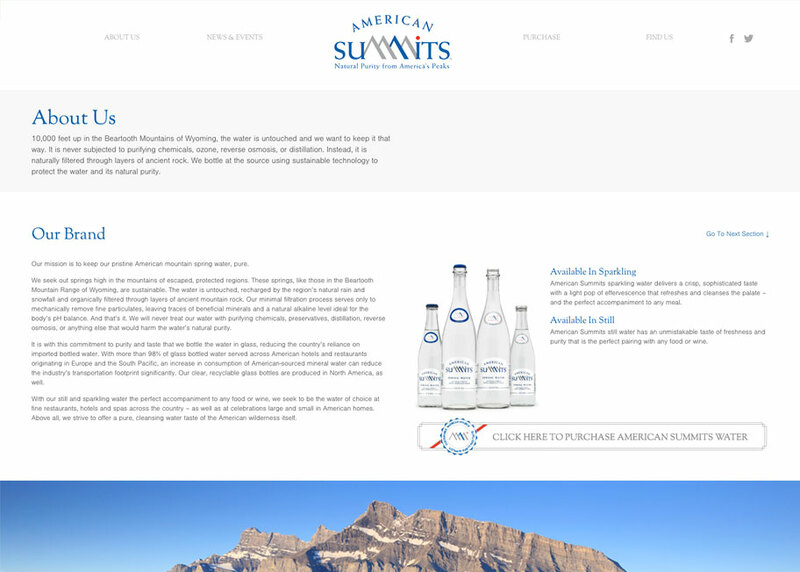 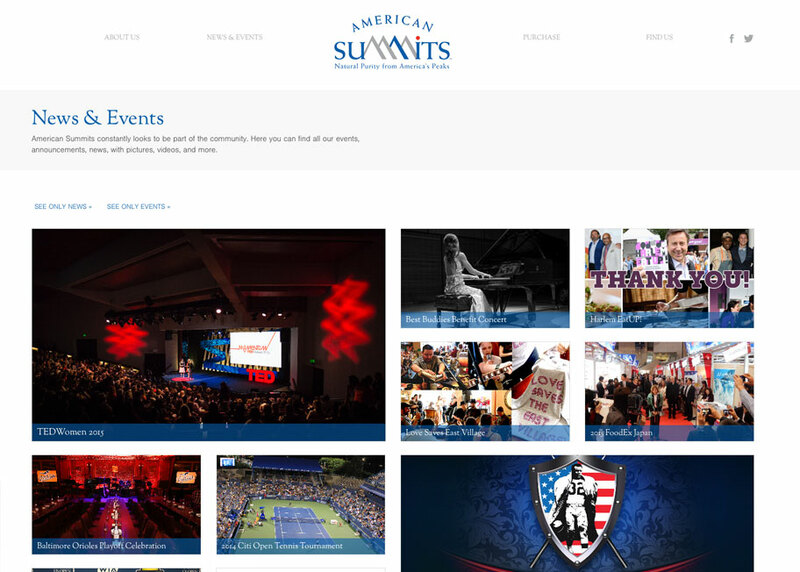 American Summits identity and positioning is as pure and pristine as the mountain spring water itself.